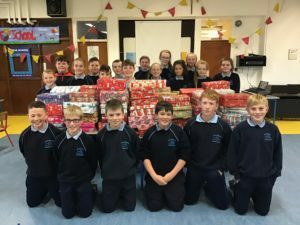 Mr. Keatings 5th and 6th Class organised the Shoebox Appeal this year. They collected a massive number of boxes for poor children. The response was amazing and 219 boxes were collected. Many thanks to everyone for their generosity.